The last real Santa has fallen to earth in his caravan (full of Christmas elves and angels) and is stranded in a location where children do not believe in the real Santa Clause anymore. Not that there are many left to believe in. The big bad Goblynch has turned all of the real Santas into chocolate Clauses and has filled Christmas with a spirit of commercialism, promoting game consuls instead of original Christmas elf gifts. Goblynch and his crew of wicked nutcrackers are out to find this last real Santa and turn him into chocolate also. If not for a young boy named Ben, and his friend Charlotte, the world would be missing the true spirit of Christmas as Goblynch would have taken over everything and Christmas magic would be no more. Then there is Ben, the main character. The little boy who cheats on math tests, and outright hates his parents is written up to be the Savior of Christmas, ultimately destroying Goblynch, thereby freeing the real Santa to reign again. Ben's parents are apparently out-of-touch with reality, or at least with Ben. They long to go to a warmer climate for Christmas and simply cannot understand why Ben doesn't want to go with them. Ben wants to stay home and play in the snow. His parents "force" a vacation on him, mocking him with purchased airplane tickets which will take them south. But then, lo and behold, Ben's dad breaks his leg and curses the moon for it interfering with their vacation plans. Ben is pleased as punch with his dad's predicament and offers not an ounce of sympathy. On Christmas day itself, Ben cops such an attitude with his dad, and is so angry with his parents that he, "would have loved to kick his leg cast." I would not like Ben at all if he were a real person and I don't like the way that Funke has the real Santa suggesting that Ben is the only decent person on earth. Ben cheats. He lies. He's rude and unkind. We cannot think that he's wonderful when we find him lying, cheating and bullying without explanation or resolution. So, no. I don't like him. Not even just a little bit! I certainly would not hand this book over to my kids. I picked it up at Goodwill for $0.99 to give it a whirl and by my estimation, it's not even worth that much. I can't decide if I'll just send it back from whence it came, or deposit it in the trashcan. Because after the bathroom, the trashcan is the only other place where this book could possibly feel at home. Ooh, ouch. Great review. Sounds like a terrible book. Thanks for the warning! LOL...I don't think I'll be reading this one! I haven't read any of her books yet. What's worse(for me) than children coming to call names, is the parents coming to insult you just because you don't like a book their child likes. "sigh"
Ugh--sounds icky. I'll be giving this one a pass, then. Wow. 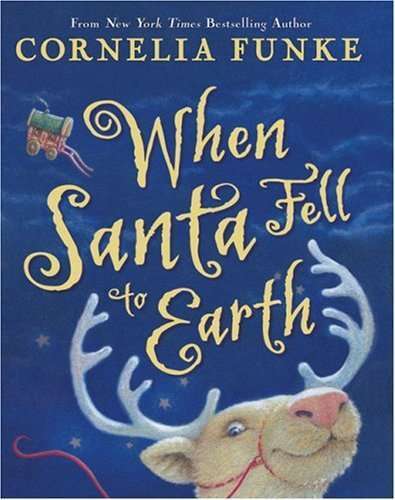 I haven't read any Cornelia Funke's books. Sounds like I'm not missing much. I don't like that kind of relationship between parent and child in books. It just seems like there is enough of that, and I'm not sure I want to read about it. Ha, ha! I just finished reading this book yesterday to discuss for my kidlit December book club and every. single. point. that you brought up was discussed at book club. I also really, really disliked this book. And what is really funny is that, it too, was my bathroom book! Great and entertaining review! 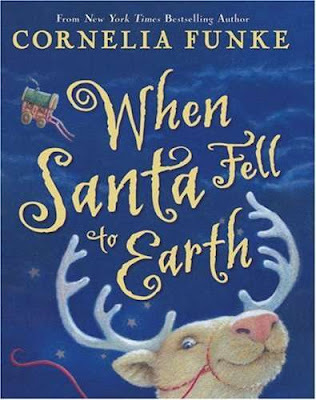 ;) I've never read any of Cornelia Funke's books--I glanced through a couple at the library and they just didn't look worth the time. Thanks for confirming my gut instinct! Somehow, my 5 year old swears like that, too. So even mundane words often need to be washed out of her mouth for the attitude behind them....what shall I do it ten years when she's 15? OH MY!